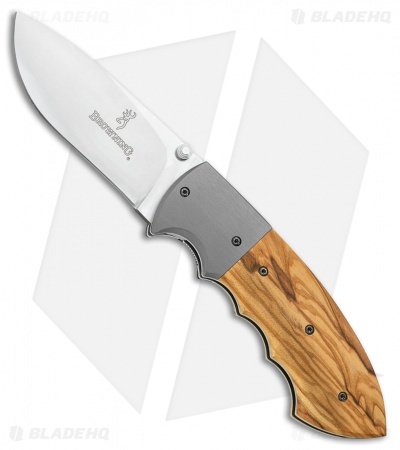 The Browning Pro Staff is a beautiful manual folding knife for everyday carry purposes. N690Co stainless steel, drop point blade has a satin finish and dual thumb stud openers. Olive wood handle with titanium bolster. Comes with a black stainless steel pocket clip.